Los Banos, CA (December 6, 2018) – The San Luis & Delta-Mendota Water Authority (Water Authority) Board of Directors voted today to approve an employment contract for Federico Barajas to fill the position of its Executive Director, replacing Assistant Executive Director Frances Mizuno who has been serving on an interim basis since June 1. Byron-Bethany Irrigation District (BBID) is a member agency of the Water Authority. Read the full release below! The San Luis & Delta-Mendota Water Authority (SLDMWA) today provided the following response regarding potential changes to the Endangered Species Act. Byron-Bethany Irrigation District (BBID) is a member agency of the SLDMWA. The San Luis & Delta-Mendota Water Authority (SLDMWA) launched a formal search for its next Executive Director. Byron-Bethany Irrigation District (BBID) is one of the SLDMWA’s member agencies. The attached brochure provides additional information about the job description and how to apply. “The Bureau’s latest allocation increase amounts to a drop in the bucket for BBID’s farmers, who should have been able to count on a much more robust supply in a year like this. The statewide average for CVP reservoirs is more than 100 percent of normal, just one year removed from the wettest year on record. The still-low allocation – which began at 20% and has gradually increased to 45% – shows that the greatest challenge to reliable CVP water deliveries is our regulatory climate, not Mother Nature. Los Banos, CA (February 16, 2018) – The San Luis & Delta-Mendota Water Authority (Water Authority) announced it will withdraw from from the State and Federal Contractors Water Agency (SFCWA). A notice of intent letter was formally submitted to SFCWA on Tuesday. Byron-Bethany Irrigation Distirct (BBID) is a member of the Water Authority, which represents more than 2-million acres of 29 federal and exchange water service contractors within the western San Joaquin Valley, San Benito and Santa Clara counties. Read more in the news release below. 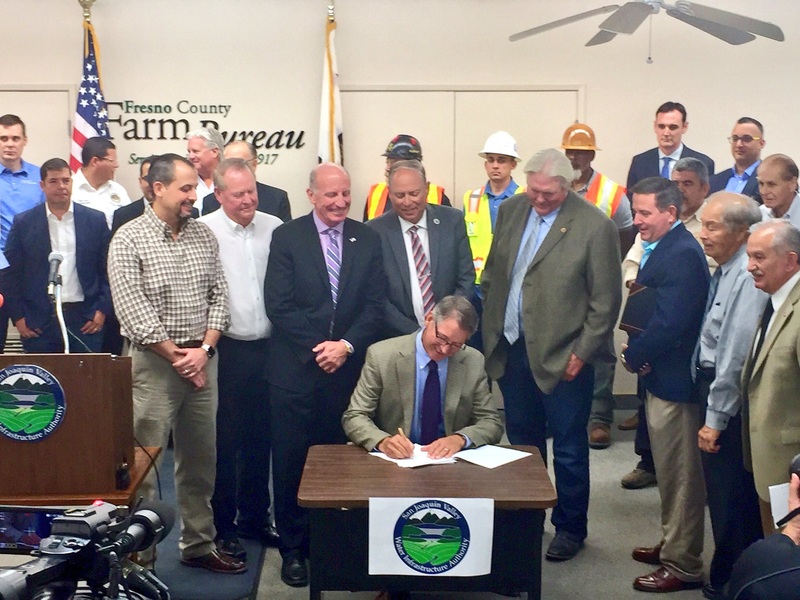 LOS BANOS, CA – “Today’s signing ceremony for the Water Infrastructure Authority application marks an important milestone for the water users we serve. A diverse group of stakeholders have joined together in a bold effort to advance water storage for California. As chairman of the San Luis & Delta-Mendota Water Authority, I am proud to be a part of this historic action,” said Cannon Michael, chairman of the San Luis & Delta-Mendota Water Authority. “Surface water is vital to California. From our agriculture to our information technology to environmental management, the cities, counties, tribes and public water agencies represented here share a common bond. That bond is the need for adequate and dependable water supplies. Thousands of farmers produce food and fiber on some of the most productive farmland anywhere for consumers that live right here in our back yard and around the world. And as the world leader in technology, Silicon Valley depends on adequate and dependable water supplies to fuel the innovation of the future. “Temperance Flat Dam will enhance California’s water supply, both for economic purposes and also to provide important ecosystem benefits. Fisheries and wetlands, stream flow and riparian forests will all thrive in the future with the additional water this project will provide. It will also be an important part of our efforts to address climate change. If predictions are right, future storms will be warmer and wetter and our ability to depend on the Sierra snowpack will diminish. It is important to begin preparing for that today. 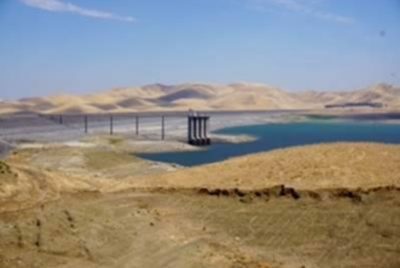 Los Banos, CA (August 5, 2016) – The San Luis Reservoir has fallen to just 10% capacity, its lowest level in 25 years. 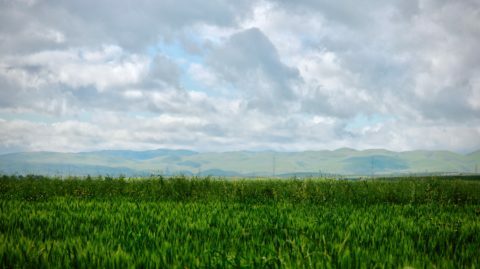 Despite above-average rainfall this year, the U.S. Bureau of Reclamation announced in April a 5% allocation for south-of-Delta Central Valley Project (CVP) contractors, a harsh blow for farmers in BBID’s CVP service area near Tracy. The CVP was started in the 1930s to transport water from reservoirs in Northern California to the Central Valley, largely for agricultural use. However, before this year’s 5% allocation, farmers in BBID’s CVP service area were hit with a zero-percent CVP supply for three straight years. While Shasta Lake sits three-quarters full, San Luis Reservoir, where water from Northern California is stored, is dwindling. “The broken state of San Luis Reservoir reflects the broader reality that the CVP, as a water supply project, has been broken by the policy choices of the Federal government,” said Jason Peltier, executive director of the San Luis & Delta-Mendota Water Authority. Byron, CA (April 1, 2016) – Prayers for rain were finally answered across Northern California, but farmers in Byron-Bethany Irrigation District’s (BBID) Central Valley Project (CVP) service area near Tracy were dealt another potentially catastrophic blow Friday. 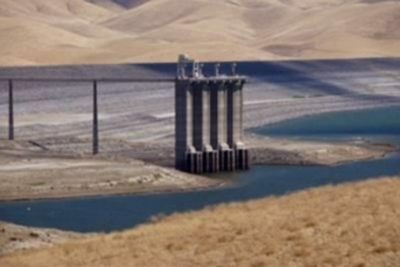 Despite above-average rainfall and a Sierra snowpack nearing normal levels, the U.S. Bureau of Reclamation announced a 5% allocation for south-of-Delta CVP contractors. Growers and ranchers in BBID’s 6000-acre, CVP service area in San Joaquin County have already struggled to endure three straight years of zero-percent supply from the CVP, forced into purchasing supplemental water at skyrocketing, unsustainable rates for the very survival of their multi-generational family farms. An El Nino winter brought desperately-needed precipitation and rekindled hope of an improved allocation this year. BBID leaders joined the San Luis & Delta-Mendota Water Authority (SLDMWA) and the Westlands Water District (WWD), in expressing pointed criticism of the Bureau’s allocation announcement. The SLDWA said in a news release it was “furious,” while WWD released a statement calling the allocation “grossly inadequate.” Meanwhile, in late March, Senator Diane Feinstein penned a letter urging President Obama to direct maximized Delta pumping allowable under the law, citing the highest flows on the Sacramento River in four years. However, the latest data on Friday showed that of the more than 40,000 cubic feet per second (CFS) flowing into the Delta, more than 37,000 CFS – or 95% of the water flowing into the Delta – is being sent out to the ocean. Byron, CA (August 25, 2015) – On August 25, 2015, nearly 100 employees, board members and neighbors gathered at Byron-Bethany Irrigation District to honor the heroic measures taken by the San Luis and Delta-Mendota Water Authority several weeks ago when the organization literally changed the direction of the Delta-Mendota Canal for the first time in history. The emergency “Pump Back Program” was a desperate drought project – the first of its kind designed to keep six area water districts from going dry. The $700,000 project was led by Engineering Director Bob Martin and involved the installation of several massive pumps in three locations over a six-week period between May and July. The project allowed canal water to be lifted 18 feet along 62 miles from the San Luis Reservoir to the City of Tracy. The result was more than 80,000 acre-feet of banked water in the San Luis Reservoir to get the water agencies through the summer. The districts include the Del Puerto Water District, the West Stanislaus Irrigation District, the Patterson Irrigation District, the Banta-Carbona Irrigation District, Byron-Bethany Irrigation District and the City of Tracy.